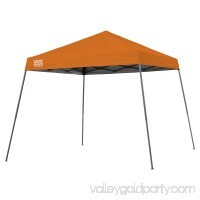 Stay protected from the elements with this Ozark Trail 4' x 6' Instant Canopy. 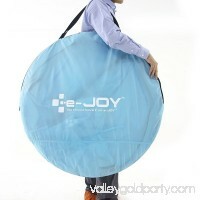 It has a sturdy frame made of high-quality materials for extended use. 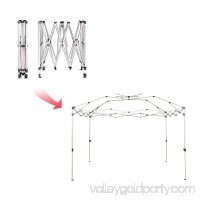 The large,..
Get to the fun faster with a Coleman Wide Base Instant Canopy 12 ft. x 12 ft. (3.66 m x 3.66 m) for 81 sq. ft. (7.53 sq. m) of shade. It takes just three minute.. 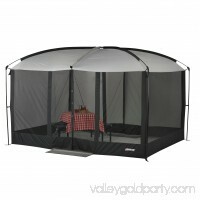 The Magnetic Screenhouse gives you protection from the insects while providing convenience when your hands are full. The front and back magnetic doors provide e.. 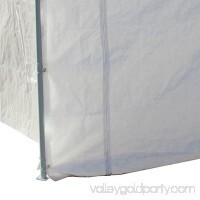 Features: - Capacity: This tent can hold about 10 people - Durable: Made of lightweight, waterproof, UV resistant PE material - Removable Sidewalls: With self-.. 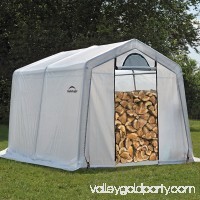 The ShelterLogic Firewood Seasonong Shed, 5' x 3.5' x 5', is designed to create burnable wood fast. This innovative, patent pending product creates dry, seasone.. 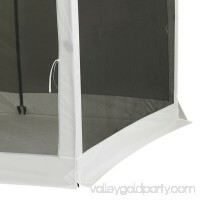 The King Canopy 20 x 12 ft. Universal Canopy provides excellent protection against inclement weather. 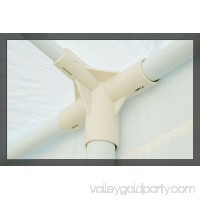 The versatile white canvas is made of durable polyethylene.. 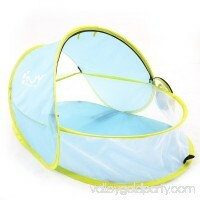 This pop up Sun Shelter can be easily folded back and collapsed into a small round shape.This beach tent automatically pops up and opens in seconds.Stakes and s.. Your canopy does its due diligence against sun and rain, now provide all-around protection from bugs with the Wenzel Smartshade Screen Walls. Designed for the W.. 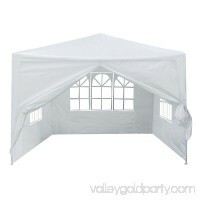 Features: - Fabric Material: Durable polyester double roof - Frame Material: High quality, rust resistant aluminum framework - Fabric attached with Velcro f..
Use the Caravan Canopy Sidewall Kit to enclose your carport with durable polyethylene walls. 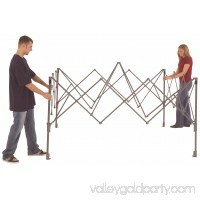 This unit is designed to be easy for you to put in place. The canop.. 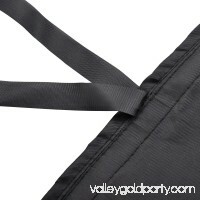 Holds up to an estimated 50 people Durable water proof polyethylene cover High quality, rust & corrosion resistant powder coated steel framework Steel fr.. 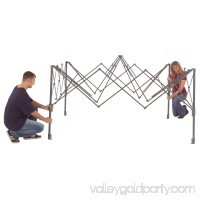 The Coleman Instant Beach Canopy assembles in three minutes in just three steps to create a shady area outdoors. 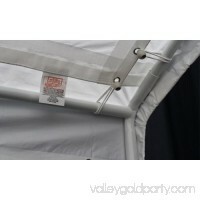 This canopy cover is made with UVGuard material.. 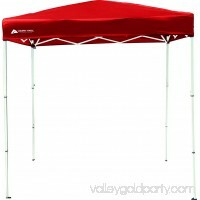 Features: - Fits 10x10ft canopies - Stronger 210D oxford fabric - wear-resistant, water-resistant & durable - With both hook & loop fasteners and straps at the..
All Quik-Shade canopies come completely assembled for quick and easy setup to provide shade and shelter wherever you need it. It is simple to set up and it quic..